Founded in 2013, M2K Motorsports has had since its start an unrelenting focus on factory quality, reliability, and horsepower at an obnoxious quantity. Striving to make extreme race car level power available in a street legal package through whatever means necessary has been their goal, and it seems they have made a major break though with a 2006 Ford GT. Beating Bugatti, Hennessey, and Koenigsegg to the mark, M2Ks GT ran the Texas Mile at 300.4 MPH, making the streetcar the first ever to accomplish this feat. From the very first year, the Ford GT has been a force to be reckoned with among supercars. Sure, there are more aerodynamic designs. However, Fords own supercar’s strong point has always been power production. Taking Ford’s Modular DOHC 5.4L engine to a whole new level and utilizing an Eaton 2300 supercharger, the 2006 GT originally had a power rating of 550 HP and 500 Lb-Ft of torque. In its stock form, it had a top speed of 205 MPH. Since the inaugural event in October 2003, The Texas Mile has been the venue racers from all over North America have flocked to to test their high performance vehicles. The bi-annual motorsports event welcomes all kinds of performance vehicles, allows for a safe way to run cars to top speed, and has been Texas’ scene of Land Speed Racing records. At the October 2017 Texas Mile event, M2K Motorsports officially set the world record of the fastest standing mile run in a Ford GT. 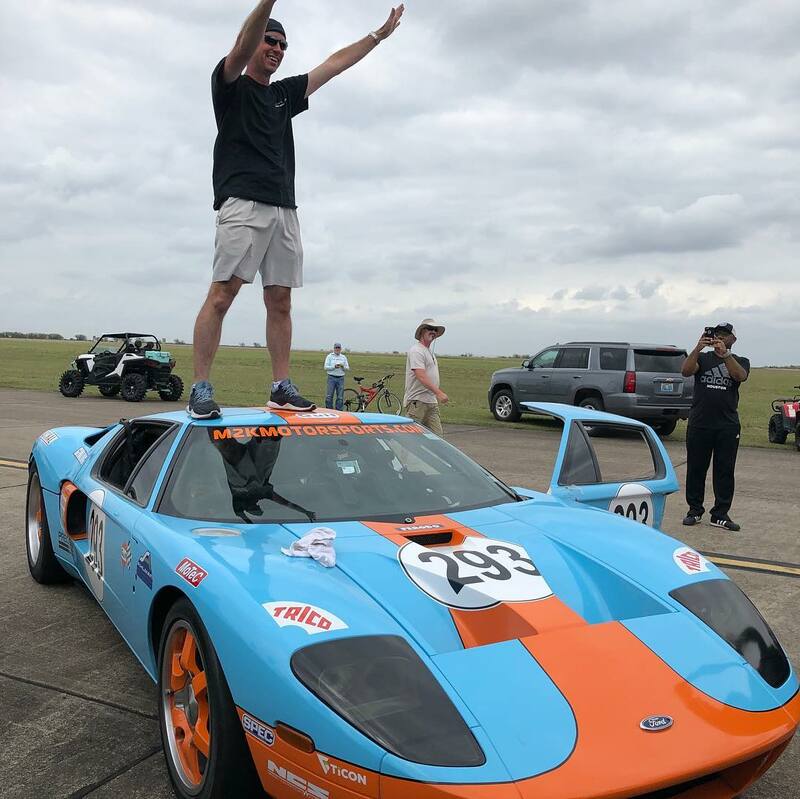 Back at the Victoria Regional Airport for the March 2019 Texas Mile Motorsports Festival, M2K brought their 2006 Ford GT with intent of breaking their previous record. The GT had a final run for the event of 300.4 MPH after running 299 MPH earlier in the day. Building off the original 5.4L V8 and adding twin-turbos, M2K has estimated the cars power rating at 2,500 HP, but because of Dyno limitations this cannot be confirmed. However, one fact that can be confirmed is, this is the fastest Texas Mile run in a Ford GT to date. Roush Performance Unleashes the 2018 Roush F-250!